Tyrrell Prison Work Farm is located in Columbia North Carolina. 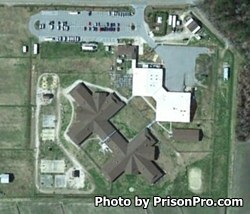 It is a minimum security prison that houses 620 adult males. This facility was built in 1998 by the inmates. The majority of offenders here work in the surrounding community, on the 103 acre farm, or within the prison performing other supportive job duties. The vegetables and crops grown at this facility feed many inmates within the North Carolina Department of Corrections. Tyrrell Prison Work Farm houses inmates in a very large dormitory building that has two canteens, ten housing units, a library, classrooms and the chaplain's office. Offenders at this facility can receive substance abuse treatment and medical and dental services. The visiting hours for Tyrrell Prison Work Farm are currently unknown, contact the facility at the telephone number provided for more details. If you know the visiting hours please help us out by leaving a comment below.